MTH 121 helps the community. This was originally posted on the public affairs blog. 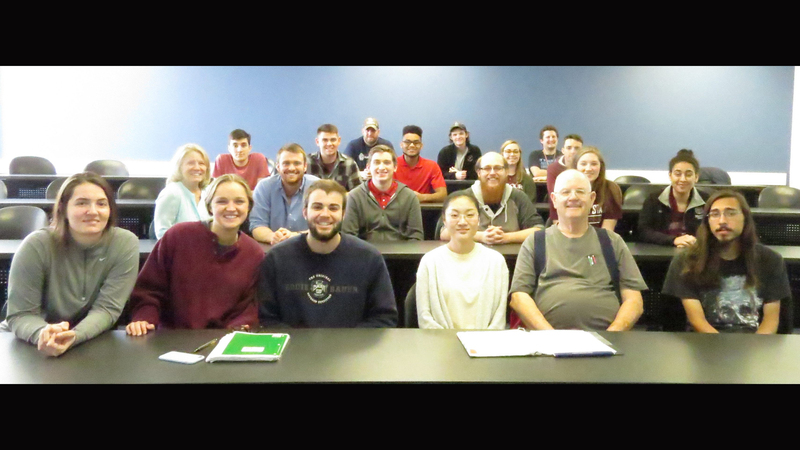 Lead by instructor Patti Ann Blanton, the students of MTH 121 have been raising awareness and funding for K9s for Camo, a local non-profit that trains and places service dogs with veterans. Students have been promoting this service to veteran organizations, raising funds through GoFundMe and organizing a 3-on-3 basketball tournament in which 17 teams competed on April 24th at the Foster Recreation Center. K9s for Camo transforms local shelter dogs into service dogs, saving many who are days away from being euthanized. Selected dogs are first trained in basic commands by offenders incarcerated at the Fordland Correctional Facility with final advanced training completed at the K9’s for Camo facility in Rogersville. These special canines help veterans improve their transition into civilian lives and mitigate the effects and issues of war such as mobility, PTSD, seizures, diabetes and other special needs. K9s for Camo provides their service dogs completely free of charge and will help veteran owners with feeding and care expenses if needed. The average cost to locate, test and train a dog is $4500.